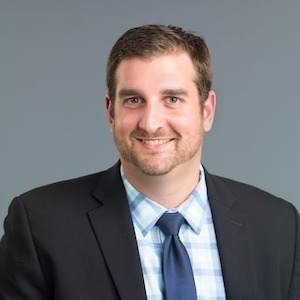 Tom Carioscio brings business management and service experience, as well as an educational background in organizational leadership, to his career as a broker. As a business development manager for a window manufacturer, he learned how to speak with clients to identify their specific needs and craft ideal solutions. He also gained insight into home remodeling and new construction, allowing him to advise homeowners on the complex decisions that may be involved with any renovation project. Tom understands that any property transaction can be both exciting and stressful, and he puts forth every effort to guide clients through each step of the process and see that they achieve the results they need. Tom joined Second City Agents, and he offers comprehensive expertise on the many details that go into a home purchase. Tom grew up in Oak Park and River Forest before attending Purdue University in Indiana, and has lived in Chicago ever since. He has lived in several of the city’s dynamic neighborhoods, offering particular knowledge of Lakeview, Lincoln Park, Ukrainian Village, West Town, Wicker Park, and Uptown. Outside of his real estate work, Tom is a volleyball enthusiast, having played for Purdue’s club team and enjoying spending his free time at North Avenue Beach throughout the summer sharpening his beach volleyball skills.